WAIST HIGH: Happy Birthday Andrew McCluskey. 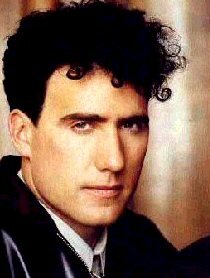 Born in 1959, Andrew McCluskey was the lead singer and primary songwriter for OMD. In 1997, he founded the UK pop group Atomic Kitten. Their song "Whole Again," co-written by McCluskey, was his first UK #1, and he and his fellow songwriters were nominated for the Ivor Novello Award for excellence in songwriting. More recently, he formed the White Noise record and publishing label.